Candidates backed by Local 400 won more than they lost in the 2018 Maryland primaries, with a huge victory in the nomination of former NAACP President Ben Jealous for governor. Jealous (D) will face off against incumbent Gov. Larry Hogan (R) in the November 6th general election. In addition, Montgomery County Councilmember Marc Elrich, a longtime Local 400 ally and champion of the $15 minimum wage, is holding a narrow lead of 473 votes in the race for Montgomery County executive as of Wednesday afternoon. This contest won’t be decided for days if not weeks due to the need to count absentee and provisional ballots. Attorney and community activist Will Jawando, who won the Democratic nomination for a Montgomery County Council at-large seat. Montgomery County Councilmember Nancy Navarro (District 4). Montgomery County Councilmember Tom Hucker (District 5). Civic activist Tom Dernoga, who won the Democratic nomination for Prince George’s County Council in the 1st district. Prince George’s County Councilmember Deni Taveras (District 2). Former State Del. Jolene Ivey, who won the Democratic nomination for Prince George’s County Council in the 5th district. State Del. Aisha Braveboy, who won the Democratic nomination for Prince George’s County State’s Attorney. In addition, community activist Krystal Oriadha was trailing by just nine votes as of Wednesday afternoon in her race for Prince George’s County Council in the 7th district. 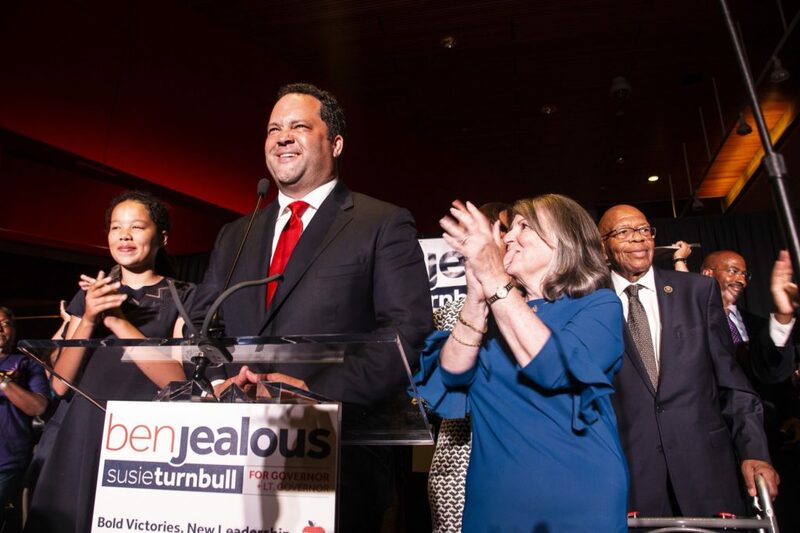 “Local 400 members worked hard for our recommended candidates in this all-important primary election, and I am especially pleased that we have a dynamic Democratic nominee for governor in Ben Jealous,” said Local 400 President Mark P. Federici. “He will be the fiercest fighter for working families we’ve ever had in Annapolis if we can help propel him to victory over Larry Hogan in November. His work as a civil rights leader and community organizer is beyond compare, and his agenda of a $15/hour minimum wage and a free community college education for all is exactly what Marylanders need. We’re going to do everything in our power to elect this great pro-worker champion as Maryland’s next governor. Local 400 recommended candidates who were not nominated include Brandy Brooks and Chris Wilhelm (Montgomery County Council at large), Ben Shnider (Montgomery County Council-3), Donna Edwards (Prince George’s County Executive), Gerron Levi and Karen Toles (Prince George’s County Council at large), and Tony Knotts (Prince George’s County Council 8th district). On Wednesday morning, former Congresswoman Donna Edwards shared reflections on our country’s current political atmosphere and her vision of the future of her community with a crowd of labor leaders, local politicians and interested residents of Prince George’s County. 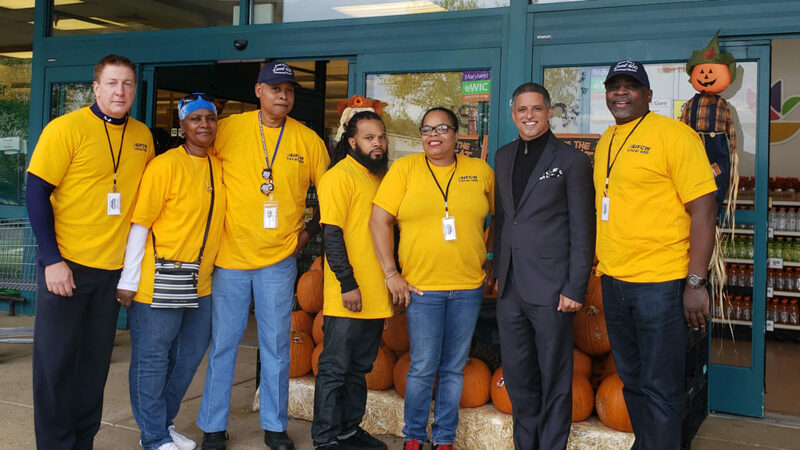 The event was hosted by UFCW Local 400, along with UNITE HERE Local 25, CASA in Action and LiUNA Mid-Atlantic, representatives of which enthusiastically introduced Edwards as an advocate and friend of working families. Edwards, a former congresswoman from Maryland’s fourth district, lost a closely-watched Senate race last April in which she was endorsed by Local 400. As she explained to the crowded room, after leaving office, she seized the opportunity to go on a three-month road trip across the country. Edwards said this time away from home gave her space to reflect on her pride in her community and her ability to serve it. She returned from her trip more aware of the “promise and opportunity” of her county, and resolved to capitalize on this potential. In her search for local solutions, Edwards recalled the community activism she was involved in beginning in 1999, when plans for a development project in Fort Washington included turning a two-lane road into a four-lane road. The road bordered Fort Foote Elementary School, and Edwards and other members of her community were determined to keep it a safe and welcoming place for children and their families. They saw the fruits of their activism in the completion of this re-developed road two years ago – still two lanes, but with added sidewalks, roundabouts, and bike trails. She envisions refocusing county resources toward protecting and supporting the county’s large immigrant population, helping residents get the health care they need, and improving the area’s lowest performing schools. “Education doesn’t work trickle down, it works bottom up – just like, actually, a lot of things,” she said. While Edwards was sure to make clear that she has not made any decisions about whether she will run for political office in upcoming county or state elections, there is no doubt that she intends to remain a leader in determining the future of the county. For now she intends to think about how she can best serve, whether as an elected official, in the non-profit sector or somewhere else. “When I figure that out, y’all will know,” she said.